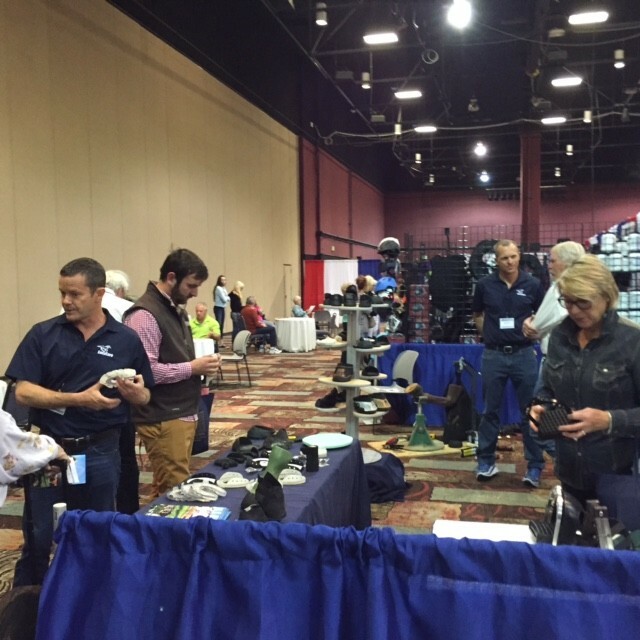 It is a yearly occurrence for EasyCare to display their newest products at the yearly AERC Convention and Tradeshow. 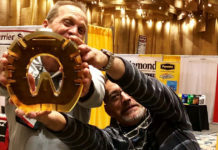 So again it happened last weekend in Reno, Nevada. Kevin Myers and Garrett Ford at the EasyCare booth working with customers. 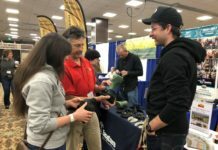 The visitors at the Convention this year were especially intrigued by the new Easyboot FlipFlop, a very innovative hoof protection device that only hit the market a couple of weeks ago. 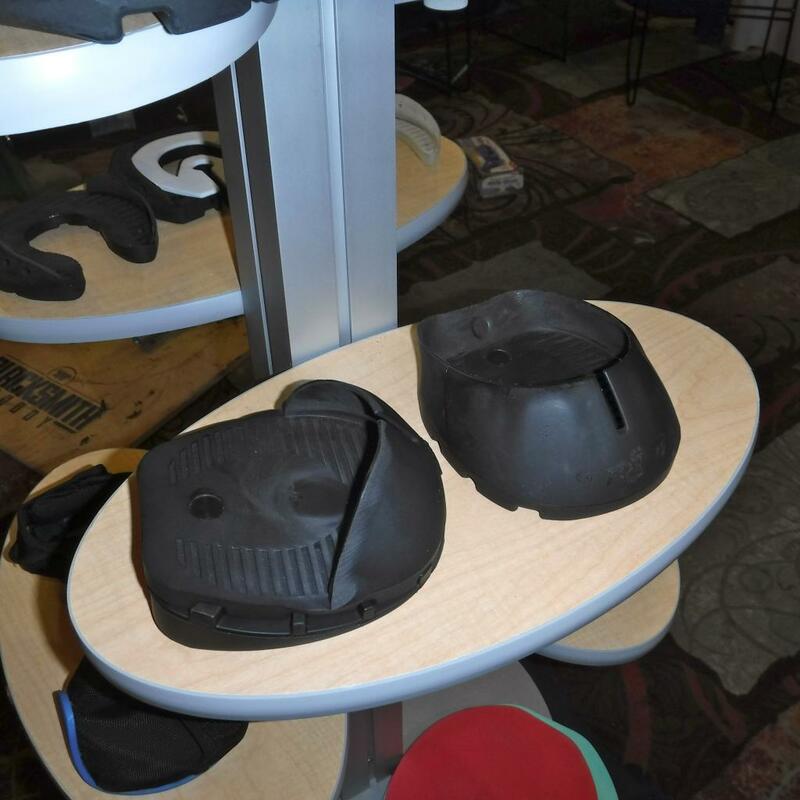 Displayed here on the left is the Easyboot FlipFlop, together with the Easyboot Glue-On. The FlipFlop has the new Therapy Click System attached. This new glue-on boot is a flip-flop design with a conventional upper that extends to the widest point of the hoof. This part of the hoof has the least amount of movement in both the vertical and horizontal planes. Because of this lack of movement, the bonds between the shoe and the hoof hold much tighter and are less likely to fail than at the heel. 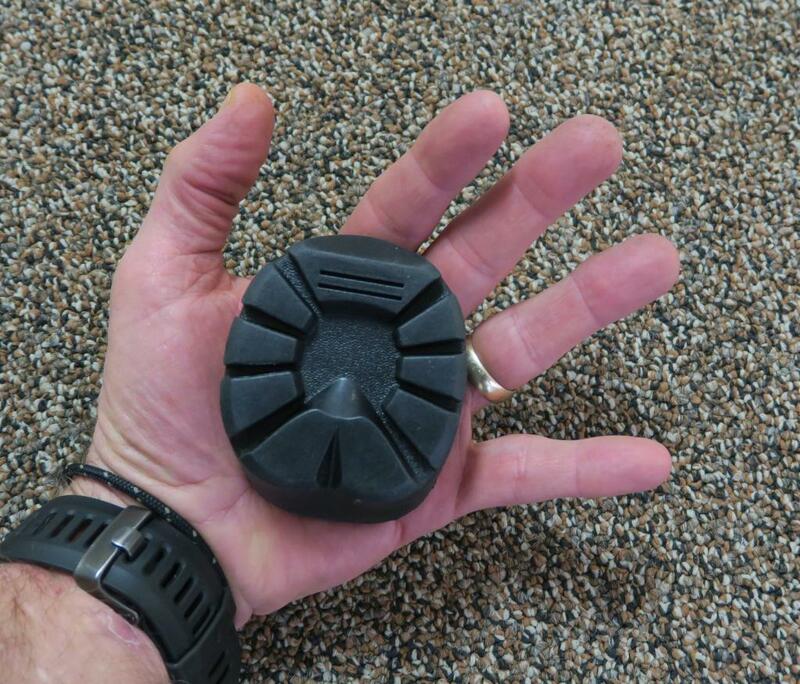 The result is a hoof protection device that is more durable than composite shoes bonded along the entire sides of the hoof wall. 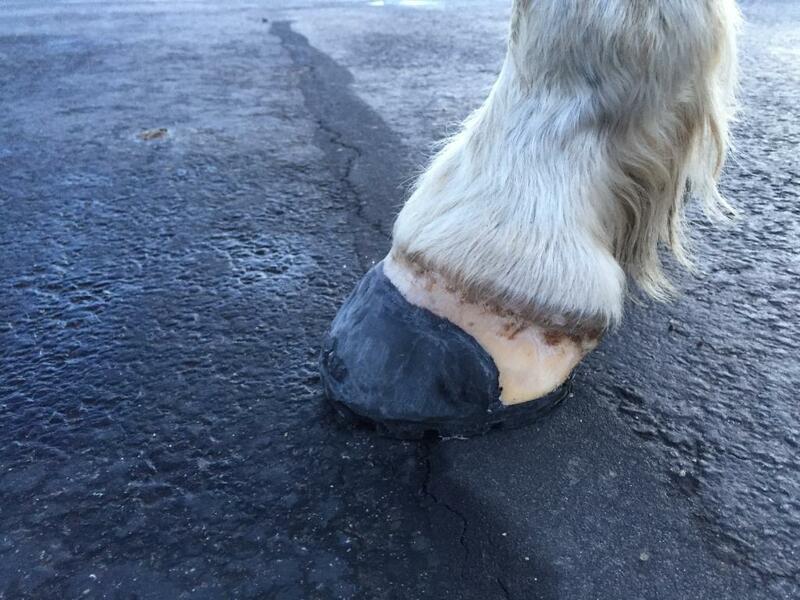 The absence of an upper in the rear half of the shoe ensures that the heel and the entire back portion of the shoe are not connected to the hoof. 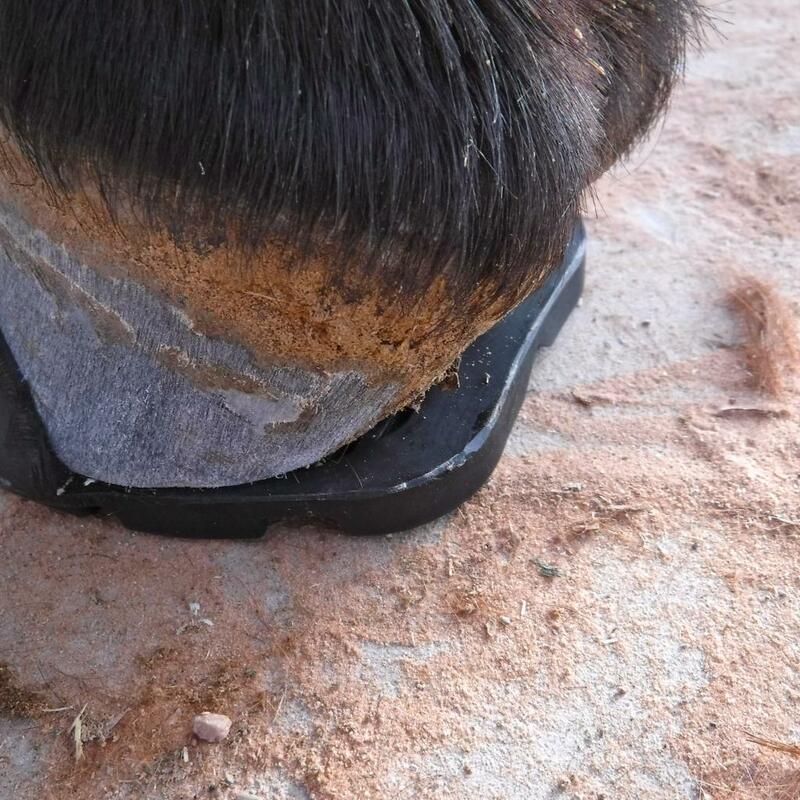 The heel is afforded greater movement in all directions, which increases durability of the bond between the upper and the front portion of the hoof. The long-term effect of increased hoof flexion is a highly developed vascular system and a healthier hoof. This product is the easiest of the glue-on boots and shoes to apply, and stays on the hoof better than any glue-on product. 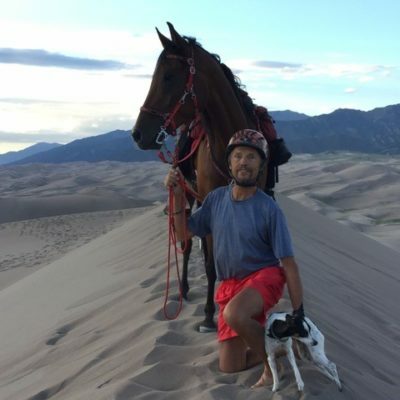 The product has won several 50-mile distance races. Easy to apply and it stays on well. The back of the foot is protected but still functions as a bare hoof, allowing the hoof to function better than in full shell products. Debris goes in and comes out easily. For those with concerns, it's easy to add a pour in packing in the toe area. May be used in conjunction with the EasyCare Therapy Click System. Here is an applied FlipFlop. Notice how free the heel area is and how much heel support the FlipFlop can provide. 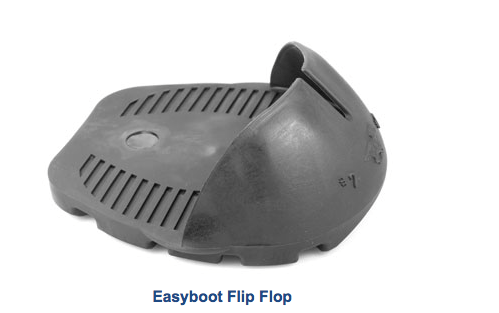 Another hot new item to be viewed was the new Easyboot Mini Horse Boot. Everybody loved this new boot. Garrett Ford wrote a nice blog about this new boot, very worth reading up on it. This boot really is filling a void in the market. Prior to now, there just wasn't a small enough boot available for the mini horses used a lot for driving. 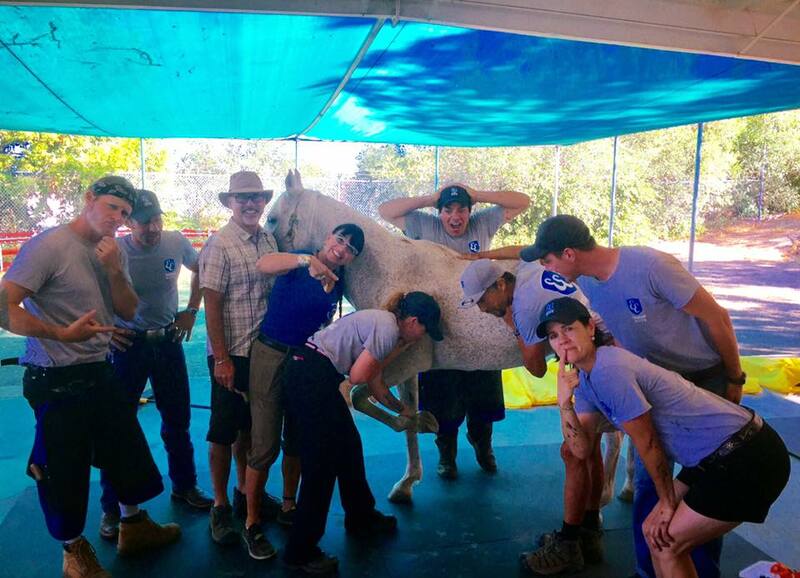 The EasyCare Therapy Click System, a very innovative system for rehabbing foundered hooves, found a lot of interest by visitors. 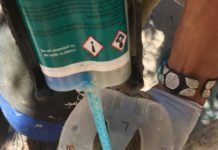 This simple, yet very effective system can be easily applied to a lot of EasyCare boots. For a complete list of the boots and a detailed description of this product, you can read up on the EasyCare website here. Visitors also had a chance to practice gluing boots on the Blacksmith Buddy. 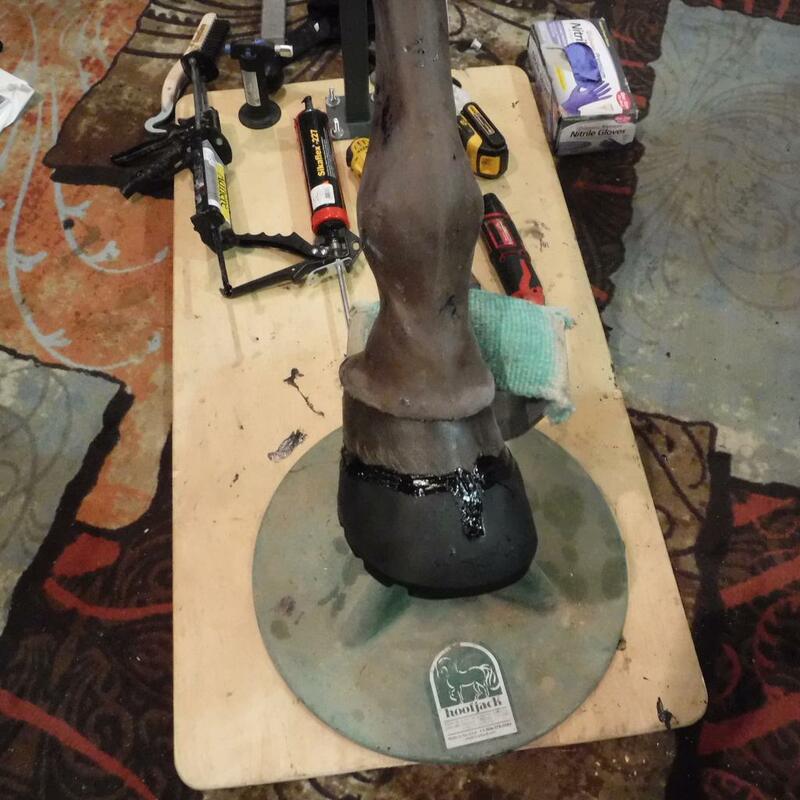 The Blacksmith Buddy is a close replica to a horse leg and hoof and allows easy practice for trimming and gluing. EasyCare takes this useful tool to many trade shows. 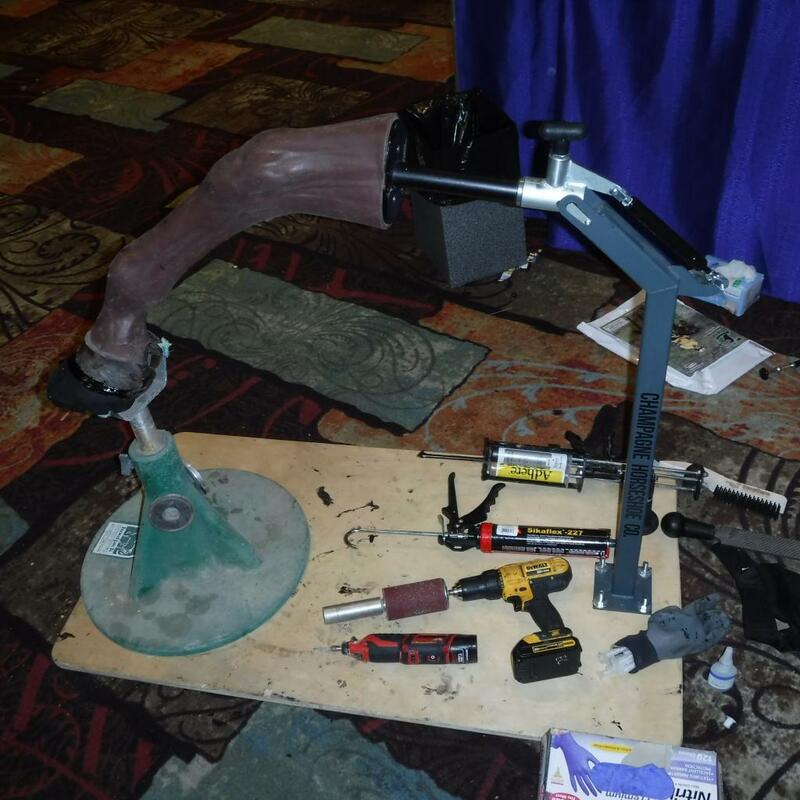 The "Buddy" together with useful hoof prep and gluing tools. Nice gluing job performed by a visitor applying an Easyboot Glue-On for the first time. When not busy with AERC BOD and Committee meetings, I was able to support Garrett and Kevin in the booth and answer questions by the many interested customers visiting the booth during the two days of the AERC Convention. 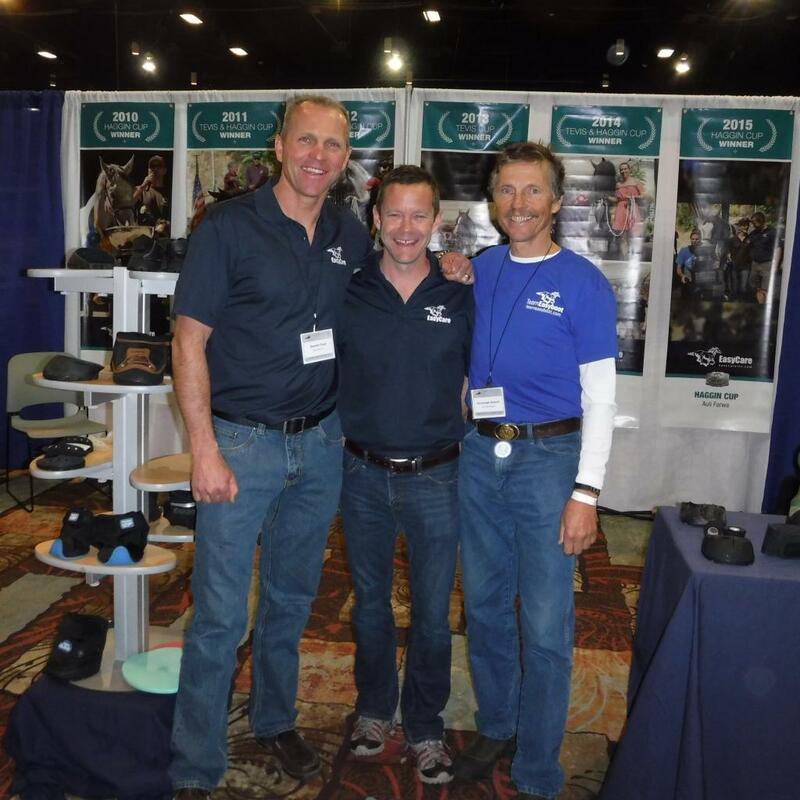 As always, this trade show was a first class act with first class products brought to the horse world by Garrett Ford and the EasyCare Company.